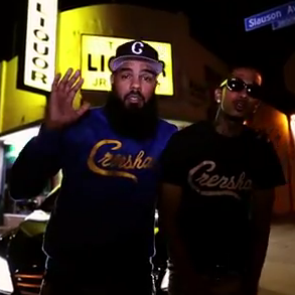 MMG leader Rick Ross and his Ohio cohort Stalley head out West to get Nipsey Hussle on the new video for the song "Fountain of Youth." This cut was featured on the most recent album Self Made Vol. 2 and one of the standout songs thanks to Stalley and Nipsey. The rappers cruise around spittin' their verses, nothing to elaborate.